We manufacture to IS9001 standards and high-quality natural rubber is used. Retro Upgrade Blade Pair 18"/450mm 18"/450mm. Proud to be UK based and Owned. Produced to ISO9001 Standards. Product Details. 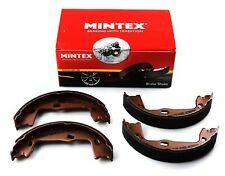 Retro Upgrade Blade Pair 18"/450mm 18"/450mm. Improved performance over Traditional Universal Blades. Fits to exisitng U-Hook Wiper Arm. Produced To ISO9001 Standards. Specific Blade Pair 18"/450mm 18"/450mm. Produced To ISO9001 Standards. Non Locking Cap Diam.74 Inside Bayonet Diam.33,5 X Diam.40,5 X 5,5Mm. Produced To ISO9001 Standards. Non Locking Cap Diam.74mm Inside Bayonet Diam.33.5 X Diam.40.5 X 5.5mm. Proud to be UK based and Owned. Produced to ISO9001 Standards. Locking Cap Diam. 72 For Inside Bayonet Filler Neck Diam. Produced To ISO9001 Standards. We manufacture to IS9001 standards and high-quality natural rubber is used. Produced To ISO9001 Standards. Spoiler Blade / Traditional Blade Pair - 450mm / 18" And 450mm / 18". Product Details. We manufacture to IS9001 standards and high-quality natural rubber is used. Traditional Pair - Driver Side Blade: 550mm/22" Passenger Side Blade: 330mm/13". Proud to be UK based and Owned. Produced to ISO9001 Standards. Locking Cap Diam. 72mm For Inside Bayonet Filler Neck Diam. Proud to be UK based and Owned. Produced to ISO9001 Standards. OPEL SENATOR A - (29_) 2.0 2.2 E SALOON. Engine Code: 16N 10.70 - 02.75 Saloon 50 68 1584. Engine Code: 16S 03.75 - 08.75 Saloon 55 75 1584. Engine Code: 16S 10.70 - 02.75 Saloon 59 80 1584. Coil Spring. Other Information: Single. Position: Front. Our Part No's / OE PART NUMBER VAPK20410-C. Ensure your safety and the safety of those you love by replacing your wipers regularly with a set of new RainForce wiper blades. Length [mm]::243. Width [mm]::175. Height [mm]::190. 12 months warranty on all orders. We will always attempt to rectify the issue as fast as possible! Eg, Vetech, Erst Klassig, Franzen, NK, etc. With this in mind, we will indicate what type of product you are looking at within the following guidelines. Length: 121 mm. ENGINE MOUNTING / MOUNTS. Other Information With Bearings. 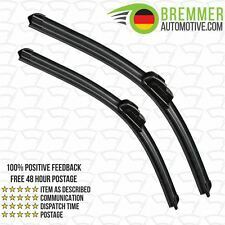 Standard 18" Bosch Wiper Blade for Vans 1980 to 1992. Blade length [mm]::450. We just want you and your car to be happy! We will always attempt to rectify the issue as fast as possible! 12 months warranty on all orders. OPEL 93195954. Blade length [mm]::475. We just want you and your car to be happy! We will always attempt to rectify the issue as fast as possible! 12 months warranty on all orders. You'll have the part ASAP. OPEL 90297771. OPEL 90009164. OPEL 542881. OPEL 542880. We just want you and your car to be happy! Brake System::ATE. You'll have the part ASAP. We will always attempt to rectify the issue as fast as possible! OPEL 93195952. Blade length [mm]::450. We just want you and your car to be happy! We will always attempt to rectify the issue as fast as possible! 12 months warranty on all orders. You'll have the part ASAP. Blade length [mm]::475. With this in mind, we will indicate what type of product you are looking at within the following guidelines. Eg, Vetech, Erst Klassig, Franzen, NK, etc. We will always attempt to rectify the issue as fast as possible! One shot will make up to 5L of screenwash The easy way to refill your tank. QSP wiper blades give you the original factory quality you can depend on, with the value-added performance of QSP's wiper blade surface protector for a smoother wipe and longer life. OPEL 1338051. OPEL 1338038. OPEL 1338028. With this in mind, we will indicate what type of product you are looking at within the following guidelines. We will always attempt to rectify the issue as fast as possible! Engine Components. We just want you and your car to be happy! You'll have the part ASAP. We will always attempt to rectify the issue as fast as possible! Eg, Vetech, Erst Klassig, Franzen, NK, etc. Bulb Type::H4. You'll have the part ASAP. 12 months warranty on all orders. We just want you and your car to be happy! We will always attempt to rectify the issue as fast as possible! With this in mind, we will indicate what type of product you are looking at within the following guidelines. Bulb Type::H4. We just want you and your car to be happy! We will always attempt to rectify the issue as fast as possible! You'll have the part ASAP. 12 months warranty on all orders. With this in mind, we will indicate what type of product you are looking at within the following guidelines. This Fuel Filter is for 1.6 diesel and 1.6 turbo diesel engines up to 85. This is a screw on type filter. Equivalent to part number: 068127177B. Engine Components. We just want you and your car to be happy! Coil Spring. Position: Rear. 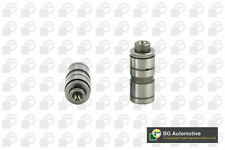 Our Part No's / OE PART NUMBER VAPK60230-B. OPEL 90169150. OPEL 818541. OPEL 818513. OPEL 818512. OPEL 818501. OPEL 818500. Engine Components. We just want you and your car to be happy! Electric Washer Pump for Vans 1980 to 1992. Equivalent to part number: 431955651. We just want you and your car to be happy! You'll have the part ASAP. We will always attempt to rectify the issue as fast as possible! Opel Vauxhall. Pair - Left and Right. Position on Vehicle We will always try to find your sale but if we have no information it's like finding a needle in a haystack! Picture is for reference only and shows an example set of springs. Opel Vauxhall. Position on Vehicle Left or Right. We will always try to find your sale but if we have no information it's like finding a needle in a haystack! Picture is for reference only and shows an example set of springs. OPEL SENATOR GASOLINA 2490cc 140hp 25E (1985-1987). OPEL MONZA GASOLINA 2490cc 140hp 25E (1985-1987). OPEL SENATOR B GASOLINA 2490cc 140hp 25NE (1988-8/1990). OPEL SENATOR B GASOLINA 2594cc 150hp C26NE (9/1990-1993). Position: Rear. Thickness / Strength (mm): 14.5 mm. Length (mm): 61.8 mm. Width (mm): 56.5 mm. Brake Pads. Brake System Teves. OPEL SENATOR GASOLINA 2197cc 115hp CIH/E (1984-1987). GM-CHEVROLET SENATOR GASOLINA 2197cc 115hp CIH/E (1984-1987). OPEL CARLTON GASOLINA 2197cc 115hp 22E (1984-1987). OPEL REKORD GASOLINA 2197cc 115hp CIH/E (1984-1987). OPEL 90467473. OPEL 90467472. OPEL 90409257. OPEL 90409256. OPEL 1304853. OPEL 1304667. OPEL 1304666. OPEL 1304665. QSP wiper blades give you the original factory quality you can depend on, with the value-added performance of QSP's wiper blade surface protector for a smoother wipe and longer life. Wiper Blade Material: Rubber. Other Information: Pair Coil Springs. Coil Spring. Fitting Position: Front Axle Left. Part Number: LCS118 (Ref.Only). Model: SENATOR. 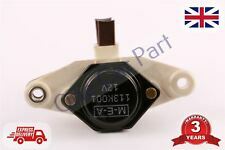 OPEL SENATOR 3.0 i CAT 3.0/2969 1/1988-9/1993 6/2 Petrol/Saloon 130/177 Rear Wheel Drive C 30 NE. OPEL SENATOR 3.0 3.0/2969 1/1988-9/1990 6/2 Petrol/Saloon 130/177 Rear Wheel Drive 30 NE. iator fits OPEL SENATOR Saloon - 78>87 - OL2089. OPEL SENATOR A 2.0i (09/1977-08/1987). OPEL SENATOR A 2.2i (09/1977-08/1987). OPEL SENATOR A 2.3TD (09/1977-08/1987). OPEL SENATOR A 2.5i (09/1977-08/1987). OPEL SENATOR A 2.8 (09/1977-08/1987). OPEL SENATOR A 3.0 (09/1977-08/1987). Cabin Air Filters. All-round battery for standard use. Trust Us, We've Been Doing This For Over 30 YearsQuickco is the UK's largest multi franchise car parts distributor! Technical Information and Featers. OPEL 7413409. OPEL 7413406. OPEL 330012. OPEL 328018. OPEL 326605. OPEL 326388. OPEL 326387. OPEL 2078030. Cabin Air Filters. Trust Us, We've Been Doing This For Over 30 YearsQuickco is the UK's largest multi franchise car parts distributor! Technical Information and Featers. 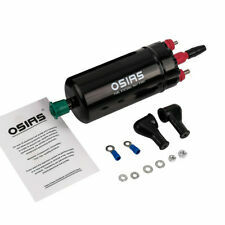 Ideal for cars with basic power needs. OPEL KADETT D (31_-34_, 41_-44_) 02/1983-08/1984 1796 18 E. OPEL KADETT E (39_, 49_) 09/1986-08/1991 1598 16 SV. OPEL KADETT E (39_, 49_) 09/1984-08/1986 1796 18 E; 18 SE. OPEL KADETT E (39_, 49_) 09/1987-08/1990 1796 18 E.